Hello guys don't let this opportunity pass you by. Download DENT App now and get free unlimited data that works on all networks. It's as easy as ABCD. DENT is not a free airtime app but a free data app that rewards you 150MB worth of data by just installing and signing up on the app. 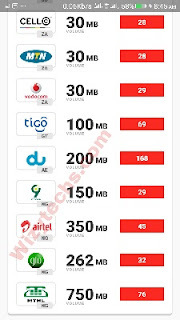 You receive a welcome point of 30 Dents which translates to 150MB data. Though we are still enjoying Opera News Free Airtime app but I think Dent will complement it with its new strategies. Imagine having both apps in your phone, it means you will be getting free airtime and free data everytime by just sharing the apps with your friends. Interesting right? 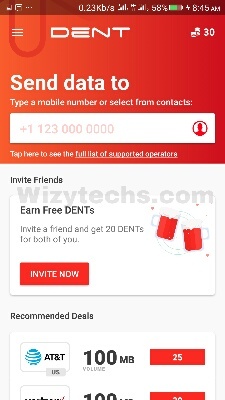 Meanwhile, the basic purpose of DENT app is for data topup, so Dent helps you topup data for a friend or family and also allow you earn free data of any network using the app. The app is available for Android 5.0 KitKat, 6.0 Marshmallow, 7.0 Nougat, 8.0 Oreo and 9.0 latest version. It works for users in Nigeria, Mexico, United States and Brazil. The developers promised to add more countries to the list before the end of the year 2018. You have the option to redeem or cash out your Dents as data. You can also buy Dents with PayPal or refer friends to earn more Dents. You stand a chance to get unlimited data with more dents. ✔️ After installing, Sign up using your Facebook profile, Google profile or your email address. 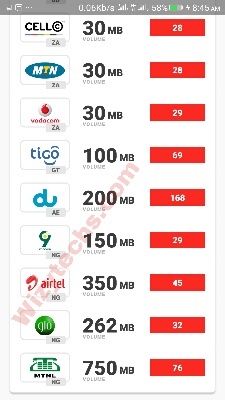 ✔️ You will be welcomed with 30 Dents worth 150 MB on any network. ✔️ To redeem your Dents as data, simply enter your phone number into the "Send Data To" box. ✔️ Finally, select the data amount you want to redeem. Viam.... Your line will be credited with the said data. It's very easy, your referral link is there in the homepage. All you need to do is click on "INVITE NOW" and you will see the unique link which you can proceed to share with your friends on social media, forums, etc to get more dents. So what are you still waiting for? Are you happy spending money all the time for data subscription? Why not utilize this opportunity and enjoy the awoof while it lasts. Download Dent now and get your free data wired to your SIM. I personally am not so interested in these get rewarded to download and install apps but there're are lots of people who need em. and you've done a great Job here. I once heard and used GeoPoll as well and Its like it's still working till date, been long I used it though back then in 2017. Anyways, I decided to check by here today, because it's been a while.